Please contact us on 08 9483 8857 or email us on psych@lgiswa.com.au to query about this service. Stress can affect workers and impact turnover, productivity, conflict, absenteeism and much more. Between 2010 and 2015, the average cost for a psychological claim in WA Local Government was $40,994 twice the average cost of a physical claim (Source:LGIS). Stress can sometimes be caused by a lack of sense of purpose and feeling that you are not keeping on top of your to do list. Poor motivation in the workplace can lead to presenteeism, poor performance and dissatisfaction which can lead to staff turnover. Take a look at some useful tips we have come up with to help you and your workers keep up your motivation (pdf). The LGIS stress management training program is designed to help workers recognise the factors that increase stress. It also enables workers to implement self-management strategies to reduce, heal and recover from stressful incidents to maximise their health and wellbeing. The first step in maintaining good mental health is through a better understanding of the topic. Although it is getting more and more common now for mental health to be a conversational topic; it remains a subject that many people find difficult to discuss with others. This means for many people seeking help when needed or knowing how to help others around them is still not an easy task. Research has consistently confirmed that at least one in five Australian adults will experience mental health issues at some point in their lifetime. In 2014 – 15, the Australian Bureau of Statistics found that there were four million Australians who reported having mental conditions. With this kind of measurement, it is crucial that you are proactive in understanding how mental health is affecting your workers and support workers who might be experiencing mental health issues. LGIS provides mental health awareness training that is designed to reduce the stigma of the topic, making people feel more comfortable to discuss it in the workplace. We do this by providing a safe environment for managers and workers to openly talk about their personal experiences or the experiences of others surrounding mental health. An experienced psychologist facilitates the discussion and explains the common signs and symptoms of mental health concerns. 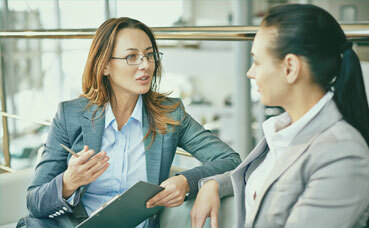 Participants develop an understanding that the most effective ways to support their colleagues and workers is through positive communication. More importantly, the program provides workers with some helpful tips to ensure they are looking after their mental health. All training workshops as outlined above are designed to be highly flexible to allow for the content and approach to be adapted to your local government. Please refer to the table below for more information on these training workshops. Please contact us on 08 9483 8857 or email us on psych@lgiswa.com.au to access this service. At the coalface / communicating in difficult situations 3.5 hours Developing and applying communication and self-management skill to address workplace issues associated with public contact roles. Communication 3.5 hours (ideally full day) Providing support on how to effectively communicate in and outside the workplace and to build confidence in order to be assertive. Getting it all done – time management 3.5 hours Improving work life balance by providing time management tips and tricks including how to prioritise, minimise time wasting activities and manage distractions and technology. Mental skills training 90 day program – can be coaching or facilitated workshops Developing skills through a one-on-one program to assist individials to better manage themselves in the face of hassles that they may face in and outside the workplace. Performing under pressure 3.5 hours Building resilience and adopting strategies to manage stress. This includes effectively managing priorities and developing skills to reduce pressure at work. Providing practical strategies for individuals to recognise and manage their own stress levels. Conventional skills to assist when talking to someone you are concerned about. Working well 3.5 hours Developing self-management skills to look after yourself in four different ways: (body, mind, heart and soul) in order to thrive at work. Making it through Christmas 4 x 45 minute workshops (over a course of 4 weeks) During the festive season, we become busy not only with preparing for Christmas, but also at work, at home and in every area of our lives. Making it through Christmas looks at various practical tips and tricks to assist in managing some of the common stressors as well as ways to look after ourselves and those around us. Perfectionists can often produce outstanding work however their excessive attention to detail, struggle to delegate tasks and repeated reworking of projects has the potential to cause issues within the workplace. Workers who have the tendency to be perfectionists are more like to be anxious and stressed about their work. If perfectionism is not managed well it can lead to mental health issues, conflicts within teams and constant procrastination which impacts on workplace productivity.